Join us for our upcoming meetings in 2016. We want to hear from you – please submit your abstracts for our events and share your results, lessons learned, and future plans. Presentations from past events are available on the IXPUG website. Call for Presentations coming soon! Want to do more? Participate in our monthly MIC Tuning Working Group meetings – see past meeting notes here and add the meeting to your calendar. Thank you for joining us for the BOF and Workshop at ISC16 in Frankfurt. BOF Presentations are now available for downloading. Workshop Presentations will be published by ISC. 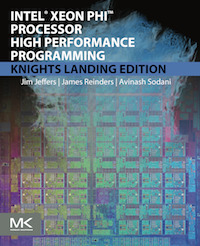 Get your copy of the new book "Intel Xeon Phi™Processor High Performance Programming - KNL Edition" (order online). Copyright 2016 IXPUG. All Rights Reserved.